Hello, one and all! We’ve teased it once or twice so far, and it’s with great jolly ol’ joy I get to announce and present you with our first release for Saizen’s 13 Days of Christmas: Hells on Blu-Ray in 720p & 1080p. For those who don’t know, Saizen used to run a “13 Days of Christmas” waaaaaay back in the day. Here’s how it works. Starting Christmas Eve (Dec. 24th) and running through to Epiphany Eve (January 5th), we will be releasing at least one thing every… single… day. 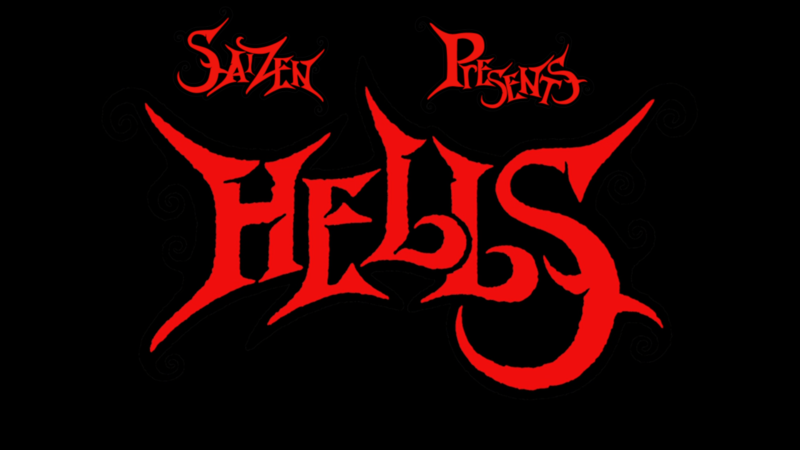 For the first day, it is with the most utmost pleasure we present to you the 2008 feature length movie from Madhouse Studios, Hells. It clocks in at around 1 hour 57 minutes and some change (that’s like 6 tv episodes in one release! #value). This is a project that started way back in August 2014. The base script (if it can even be called that at this point) was taken from the official Blu-Ray release in Japan. The team completely overhauled the script, typeset almost everything (some of what we did is actually pretty crazy thinking back about it now), retimed it (obviously :p), encoded it, and put it through a very rigorous QC process. The movie itself is about a girl named Linne Amagane and her adventure in… you can guess where the majority of the movie takes place from the title, lol. Anyway, I don’t really want to spoil it for people, so give it a watch as you wait for good ol’ St. Nick to come through tonight. They play a game of volleyball during it, so… itqualifiesasSaizensportsanimeftw! And… lastly, here’s the roll call for all of those who lent a hand on this project. Thank you. PS: Oh, one more thing! I thought I’d include a lil’ ol’ poem for y’all to get you in the spirit if you weren’t already, because I’m a literature nerd. While visions of the stage of their dreams danc’d in their heads.